Getting your people to laugh and have a good time would always seem like a good idea. THEY have earned a reputation for creating humor on the spot and getting audiences to bond with one another over the shared experience. Whether for a company looking for client or employee appreciation, bosses looking for team building or simply a party among friends looking for something different and customized to them, THEY have seen it all and can help you achieve your goals. Our South Dakota improv comedy shows use the best improvisational comedians to wow your gatherings with corporate offsite events and private parties that will not soon be forgotten. Using input from our audience, we create comedy on the spot that couldn't be repeated even if we tried. The intimacy of such a performance creates a unique bond between the performers and the audience as the lightning in a bottle entrances them. South Dakota improv comedy shows provide an alternative to stand-up comedy as well as other theatrical venues. With an impressive cast of actors in the area, improvisational comedy always delivers a variety of entertainment for a relatively small amount of money. Actors take suggestions from the audience and perform comedic and theatrical pieces. The audience participates by initiating the action with their suggestions. This direct interaction has long made improvisation a favorite among theater-goers, patrons of the arts as well as the college students. By providing the all-stars of company-friendly entertainment, our South Dakota improv comedy shows make corporate offsite events, banquets and private parties truly unique. Perfect for employee appreciation, meetings and incentives awards and team building workshops, a South Dakota improv comedy show dynamically creates bonds between employees. Meetings and Incentives Awards. Often such gatherings result in lengthy periods of speeches that are appreciated, but not well received. They tend to drag on a bit and those not directly receiving recognition sometimes zone out due to boredom. Our South Dakota improv comedy shows can be spread out over an evening and can help your banquet attendees to maintain their interest. Employee Appreciation. Nothing says that you value the input of your staff than having their input create the comedy for the evening. The gathering literally caters to their needs. The show works in small details about the people involved and the audience is made to feel like the stars of the evening. Audience Participation. We have a variety of performance pieces that use audience members on stage. Each is designed to make the audience participant to look like a star and to be seen in a favorable light, as opposed to being someone that we made fun of. This helps to advance your company's goals for the evening and to enhance the experience. Comedy Training. We can provide a one or two hour workshop prior to a dinner, teaching members of your corporate event or private party how to perform certain comedic pieces. Then, during the after dinner comedic show, we allow some of the attendees to participate. We allow them to perform side-by-side with our professional comedians and work hard to make certain that they are made to look good and to be the stars of the South Dakota improv comedy show. Ring in the Holidays. Improvisation is a great way to celebrate the big moments of your organization or family. Christmas banquets, wedding rehearsal dinners and just about any other kind of get-together are perfect for making people laugh. We come to you! We come to whatever venue that you choose. This can include any area restaurant, hotel, conference facility, convention hall or even someone's home. We work with the venue to ensure a smooth operation. This includes working with their team to coordinate their sound, stage and lighting. We can provide sound equipment, etc., as well, but for an additional fee, though we usually opt to use the venue's equipment. 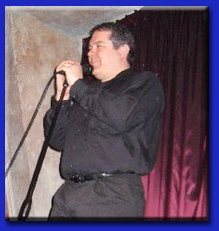 Of course for smaller groups, no equipment is required and not using microphones enhances the intimacy of the show. We will then follow-up and provide you with a proposal for presenting your show. Contact us today to find out how you can entertain your business. We are proud to serve the entire state including Sioux Falls, Pierre, Aberdeen, Rapid City, Sturgis, Deadwood, Hot Springs, Custer, the Badlands, the Black Hills, Brandon, Brookings, Watertown, Yankton, Silicon Prairie and practically everywhere else. THEY can help you find the success you need at a price you can afford! 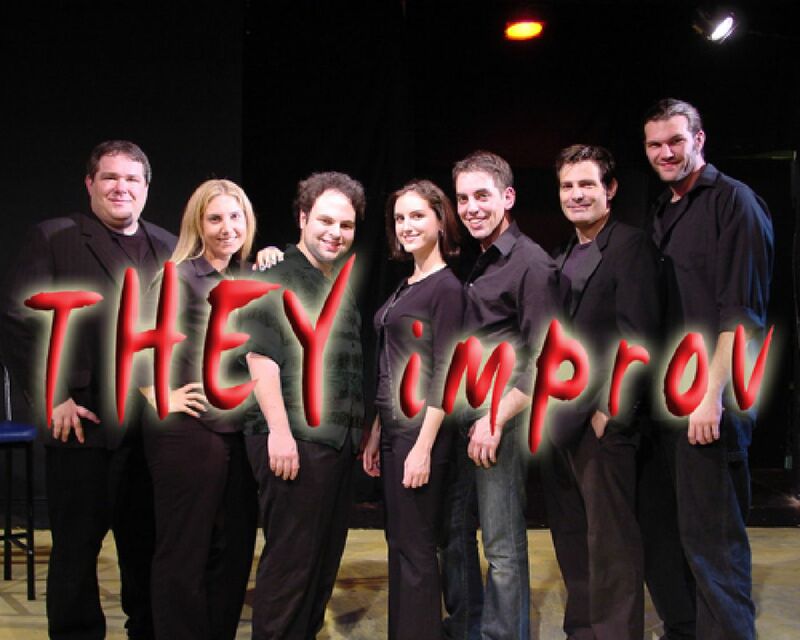 Contact us by email at info@THEYimprov.com or call our director at (866) 219-4386.